In the highly competitive online industry, search engines play a major role in getting website traffic and exposure, and any serious website owner would agree that Search Engine Optimization (or SEO) is critical to success. Any good SEO strategy is based on content distribution and promotion through either article marketing or other means. 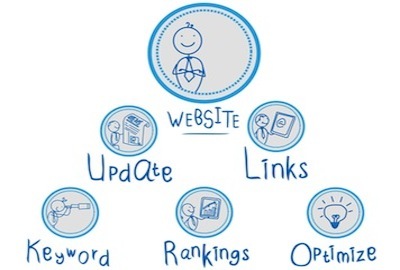 This is one of the most effective ways of getting inbound links, and thus higher search engine rankings. However, major search engines now suppress any content that they see as duplicate, which means that distributing the same article to multiple sites or directories is no longer beneficial. This is where article rewriting and article spinning come in. Creating new content or articles all the time for marketing can be time consuming and expensive. Instead, you can easily get your articles written in multiple versions, all significantly different from each other but conveying the same key points, and distribute them without having to worry about duplication. This can save you a considerable amount of time and money. We specialize in providing all kinds of article rewriting and article spinning services, ranging from phrase/sentence rewriting in spin syntax (with multiple levels of nesting) to full article rewriting multiple times. We can also customize a rewriting assignment according to your requirements – in terms of output format, keyword locations and density, or writing style. To order or enquire about SEO writing service, contact us with your requirements and we’ll get back to you within one working day.